As an urbanizing consumer society, the amount of waste we produce is growing significantly with the result that our landfill spaces are filling up and our municipal waste services will become more expensive as time goes on. Zendré Compion investigates. If you collected all the waste you generated over one week and did an analysis of what was in there, what would you find? Research shows that the biggest culprit is usually plastic. While plastic is not the only waste we generate in our homes and offices, it is probably the most problematic. 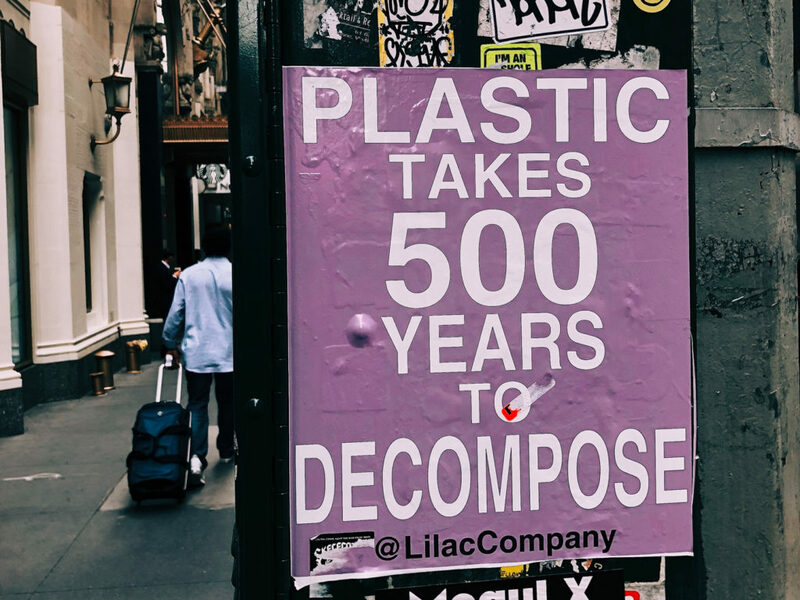 Plastic has made life easier in so many ways that it is difficult to imagine how we would live without it. It is everywhere around us and micro plastics are even said to be found inside the human body. Aluminium, paper and glass can be recycled, for the most part, into similar new products but plastics are mostly downcycled and will eventually end up as waste. In ‘Cradle to Cradle: Remaking the Way We Make Things’, architect William McDonough and chemist Michael Braungart say, “Recycling is an aspirin, alleviating a rather large collective hangover…overconsumption.” To begin a journey towards Zero Waste, a waste audit – which looks at what makes up our weekly waste – will give great insight into where best to start reducing our waste. This will also offer insight into the best ways of moving towards Zero Waste. A movement has developed around refusing straws, and some restaurants now do not offer straws at all. This is a useful awareness campaign that targets single-use items. 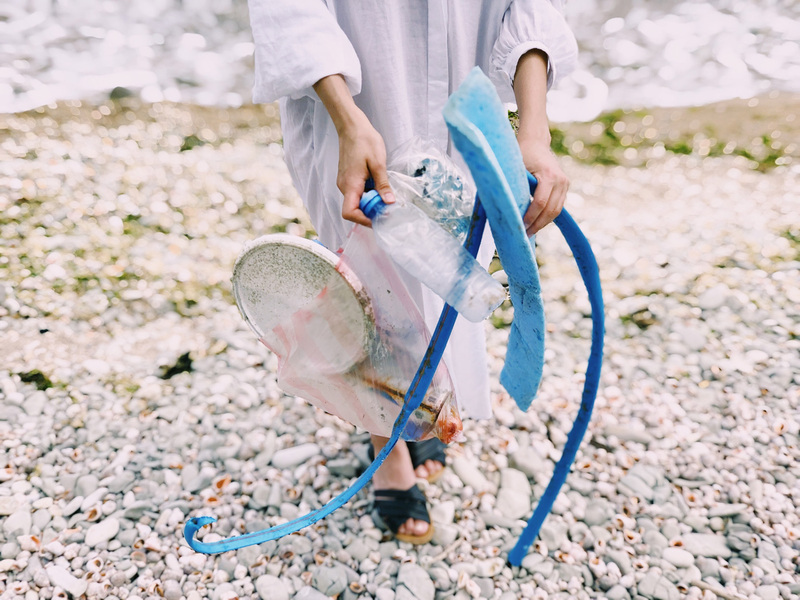 As consumers, we can take this further by refusing other single-use items such as plastic shopping bags; take-away cups, utensils and containers; and bottled water – and replacing these items with reusable ones that you can easily carry with you. And simply refuse random potential waste items that you are offered for free such as samples or flyers. Consider what you are using on a day to day basis, and what you really need. In the home, a good place to start is with consumables in the kitchen and bathroom. Evaluate what you really need, consider which items you barely use and where you can reduce in general. Consider the quality of new products and how long something will last. Evaluating your consumer behaviour will give you insight into how you sometimes buy things that gather dust, or things that go off before they are used. Owning less means being more organized, being able to find things when you need them, and being compelled to look after what we own. Reducing our stuff reduces our impact on the environment and allows for a more meaningful existence, because we can replace stuff with experiences. To see why less really is more, watch ‘Minimalism: A documentary about the important things’. When you are ready to throw something away, consider where is ‘away’. Can the item be reused, if not by you then by someone else? If it can’t be reused, consider its replacement and if you can make a different purchasing decision next time to replace it with an item that will have a longer life or can be reused. For example, reuse glass jars for storing leftovers or dry goods; repair clothes; donate or cut up old clothes to replace paper towels in the kitchen; sell goods that you no longer need or offer them to friends and family; and buy second hand. In examining the waste problem, we have come to understand that recycling is not the pinnacle of our waste solution. 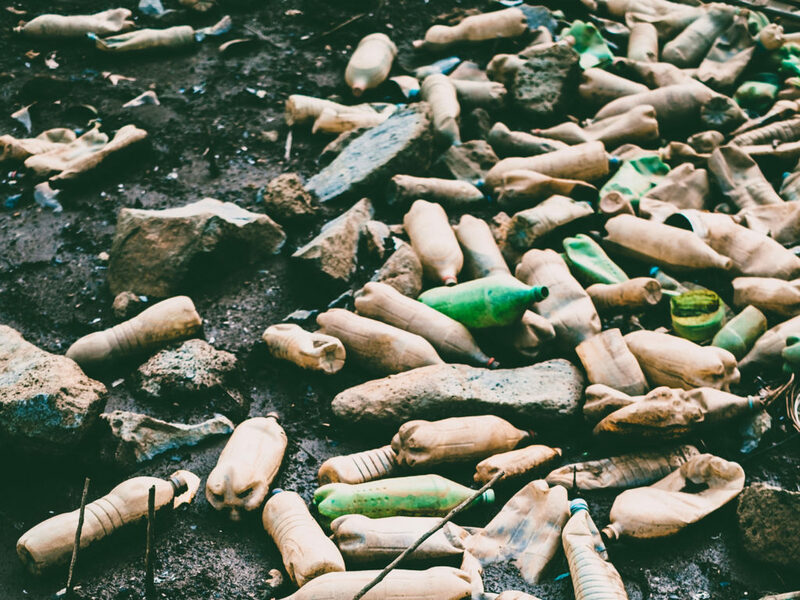 South Africa is still behind in providing proper recycling infrastructure, services and education, and for recycling to make a meaningful difference to our waste problem, much needs to change. As individuals we can support recycling service providers and put pressure on product suppliers to investigate alternatives when it comes to packaging, starting with reducing packaging and then ensuring that it is recyclable. Consider the recyclability of materials when you purchase them. Understand from your recycling service provider which items they recycle and which they end up sending on to landfill. Understand contamination and how it affects recyclable value. For example, white paper with food stains won’t fetch the same resale value as clean paper. And be sure to clean recyclables by rinsing them in your used dishwashing water. 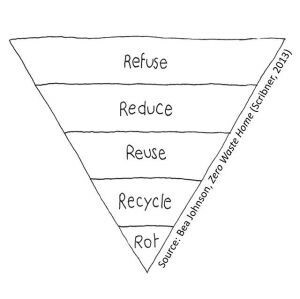 As a starting point, ‘refuse, reduce and reuse’ to ensure that you need to recycle as little as possible. Then consider the value of post-consumer items. Glass can be endlessly recycled, but most other products can only be downcycled. This means that, after being recycled once or twice, even though the lifespan of an object has been extended, it will not be able to be recycled again and will end up as trash. Composting has many benefits. Making your own compost is very rewarding but even if you don’t have space to compost vegetable food scraps in your garden, it can be very beneficial to still separate your food waste from the rest. This will contribute hugely to the success of the processes mentioned above. Making use of a Bokashi bin means you can compost even food scraps that you would not want to put on a garden compost heap. Bokashi is also a good undercounter solution for small living spaces and the resulting ‘rot’ can be donated to a garden project or a friend’s garden when it is ready. 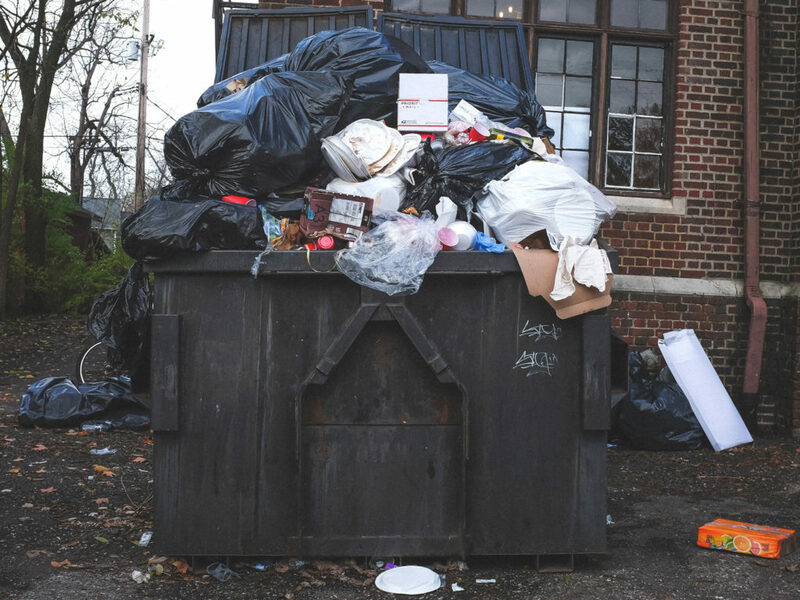 Keeping wet waste out of your bins reduces potentially nasty odours, reduces the amount of waste we send to landfill by contributing to improved recycling rates, and keeps food away from landfill where it contributes to anaerobic digestion which is a great cause of methane gas production in landfill sites. References: Johnson, B. 2013. Zero Waste Home. Scribner. New York.